Aren’t we bored of these films? It’s exhausting seeing them rise and fall and rise again, ending on some sort of quip or a moral lesson that doesn’t necessarily go anywhere because always they wind up becoming just as smug and heinous as before. 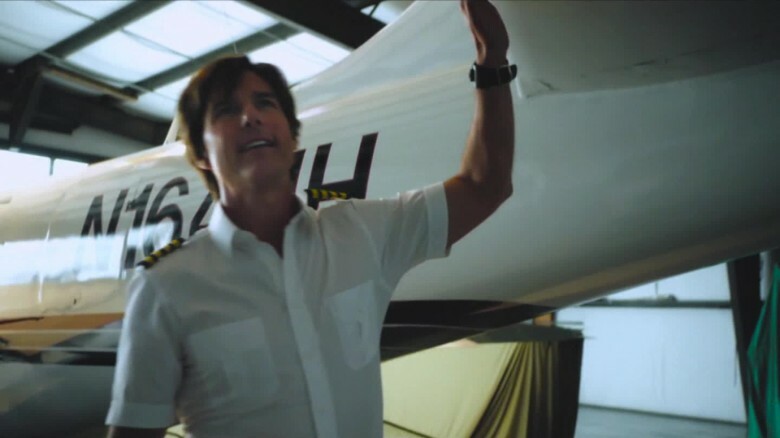 American Made seemingly follows the same route but is luckily lifted up a notch by Tom Cruise’s charismatic performance. American Made revolves around Barry Seal who is a pilot for a commercial airline. He’s contacted Monty Schafer of the CIA who asks him to fly secret missions over Central America using a small plane with cameras installed. During a mission in Panama, Seal agrees to start smuggling drugs for the Medelin Cartel. That’s when things start spiralling out of control for Seal. Arrests, gangs, drugs, and weapons, can Seal get out of the trade before disaster happens? The story of Barry Seal is given a Hollywood makeover. It’s an unapologetic flashy and a raucous film that races through this real-life tale with a gun-ho attitude. Playing fast and loose with the story, director Doug Liman interjects a rambunctious energy into the proceedings. Sure, it can be, at times, a jittery and uneven energy but it is still an enjoyable one. The movie is a shiny snapshot of the eighties era just really, really high and while that still can be off-putting for some, Liman’s work here is ultimately entertaining. It helps that Tom Cruise is so charismatic in his role. Despite his career turning into one-note characters and samey films, he gifts us with a compelling lead performance as Seal and as the antics level up, as does Cruise in a thrilling and, altogether, brilliant way. Opposite him as CIA operative Monty Schafer is Domnhall Gleeson. I don’t mean to hyperbolic but Gleeson could appear for five seconds of a film and it’ll be entertaining and brilliant (See: Harry Potter and the Deathly Hallows). American Made is an apt title for this film because it’s obnoxious, it’s loud, and it give zero shits. Morally bankrupt in the pursuit of pennies, American Made is perhaps an apt metaphor for the country itself. If anything, it is viciously riveting. American Made is out on Boxing Day!